The Matiz Xtra comes with twin airbags, single CD player, side impact protection beams, front seatbelt pretensioners, power steering, 60/40 split folding rear seats and engine immobiliser for £5,995, at last cracking the £6,000 barrier. The Matiz Special Edition has in addition electric front windows, alloy wheels, rear spoiler and mica/metallic paint for a rather stiff extra £1,000. The Musso Special Edition comes with a Mercedes-designed 2.9 turbo-diesel engine, as well as leather interior, 10 CD autochanger and sidesteps on top of the standard equipment, which includes drivers airbag, side impact protection beams, ABS, traction control, alloy wheels, immobiliser and alarm. The Musso Special Edition costs £17,995, or £18,995 with an automatic gearbox. 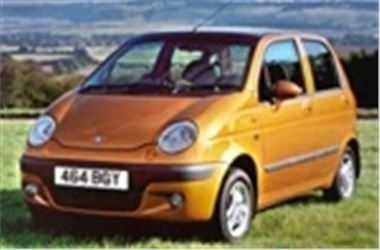 While stocks last, Daewoo will be also offering a Special Edition Lanos priced at £7,495 for both the three and five door models. This model features power steering, twin airbags, side impact protection beams, 14 inch alloy wheels, metallic/mica paint and a single CD player. The Nubira Estate Special Edition with alloy wheels, 10 CD autochanger and mica/metallic paint continues, priced £9,995. Tacuma SE and CDX prices have been reduced by £500 and now start at £11,995.